Rajput Packers and Movers is one of the best Packing Solution of Household Shifting Service we provide all type of packing services. For contact to Rajput Packers & Movers Call at +91-84448-09090, +91 88201-39952 or send an email at rajputpackersmovers@rediffmail.com. Rajput Packers and Movers is one of the best Packing Solution of Car Transportation Service we provide all type of packing services. For contact to Rajput Packers & Movers Call at +91-84448-09090, +91 88201-39952 or send an email at rajputpackersmovers@rediffmail.com. 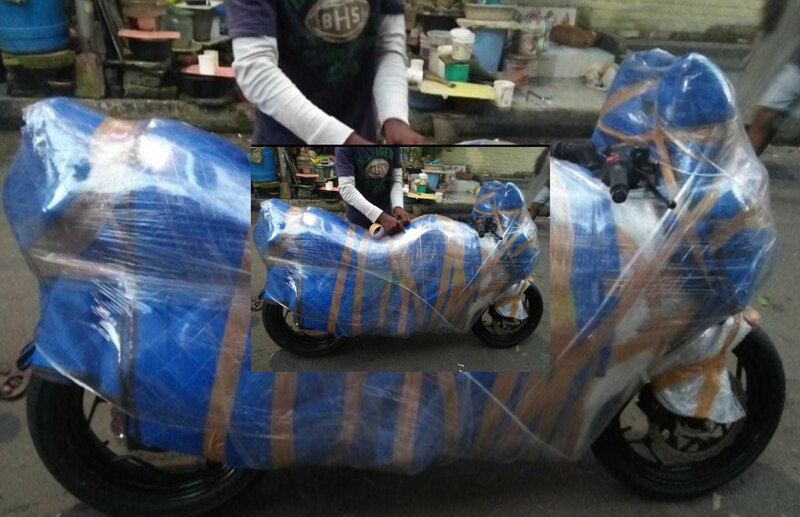 Rajput Packers and Movers is one of the best packing Solution of Bike Transportation Service we provide all type of packing services. For contact to Rajput Packers & Movers Call at +91-84448-09090, +91 88201-39952 or send an email at rajputpackersmovers@rediffmail.com. Rajput Packers and Movers is one of the best Packing Solution of Packers and Movers Service we provide all type of packing services. For contact to Rajput Packers & Movers Call at +91-84448-09090, +91 88201-39952 or send an email at rajputpackersmovers@rediffmail.com. Rajput Packers and Movers is one of the best Packing Solution of Loading and Unloading Service we provide all type of packing services. For contact to Rajput Packers & Movers Call at +91-84448-09090, +91 88201-39952 or send an email at rajputpackersmovers@rediffmail.com. Rajput Packers and Movers is one of the best Packing Solution of Warehousing Services Service we provide all type of packing services. For contact to Rajput Packers & Movers Call at +91-84448-09090, +91 88201-39952 or send an email at rajputpackersmovers@rediffmail.com. Rajput Packers Movers in Kolkata is one of the best Packers Movers in Kolkata. We provide full service from packing your beloved good, loading, unloading, transportation. Office shifting, house relocation, Packing and unpacking. Hassle Free Services. Corporate shifting. Best Prices. Services: House Shifting, Packing & Unpacking, Loading & Unloading, Transportaion. Rajput Packers and Movers is one of the best Packing Solution of Packers and Movers Service we provide all type of packing services. Rajput Packers and Movers is one of the best Packing Solution of Domestic Relocation Services we provide all type of packing services. For contact to Rajput Packers & Movers Call at +91-84448-09090, +91 88201-39952 or send an email at rajputpackersmovers@rediffmail.com. Rajput Packers and Movers is one of the best Packing Solution of Office Shifting Services we provide all type of packing services. For contact to Rajput Packers & Movers Call at +91-84448-09090, +91 88201-39952 or send an email at rajputpackersmovers@rediffmail.com. Rajput Packers and Movers is one of the best Packing Solution of Transportation Services we provide all type of packing services. For contact to Rajput Packers & Movers Call at +91-84448-09090, +91 88201-39952 or send an email at rajputpackersmovers@rediffmail.com. Rajput Packers and Movers is one of the best Packing Solution of Household Shifting Service we provide all type of packing services. Rajput Packers And Movers are not just the most established packer and mover in your city Kolkata, however the organization with the best notoriety in the field. We give the best backing to our customers by the most recent mechanical hardware and by our auspicious administration. We keep up a custom in our business to legitimize the expense you bear for moving your products. Rajput may be also several other reasons to office shifting,Bike Transport home from one place to another like transfer, job change , for professional reasons or the personal ones, people do relocate often in their lives. Whatever the case, this is the time that a good and reliable name in the Moving and Packing industry is like essential information to have. Rajput Packers And Movers are not just the most established packer and mover in your city Burdwan, however the organization with the best notoriety in the field. We give the best backing to our customers by the most recent mechanical hardware and by our auspicious administration. We keep up a custom in our business to legitimize the expense you bear for moving your products.